Investing in wine is more lucrative than ever, and the global fine wine market is now worth $302 billion. Popular bottles often rapidly accrue value and sell for thousands—or even hundreds of thousands—of dollars. Fine wine is now up there with classic cars and gold as potentially profitable passion items—those desirable objects that are both nice to own and can quickly rise in value. You too could capitalise on wine’s eminent popularity and make some serious money yourself. However, as with any financial venture, there are certain mistakes you can make which can hinder your progress and send you back to square one. Fortunately, by knowing what to look out for, you can avoid these blunders and build a wine collection worth having. In this piece, we’ll outline four of the main mistakes people make, and how to avoid them. One of the biggest mistakes novice collectors can make is storing their wine incorrectly, which can contribute to rapid deterioration of what’s contained inside the bottle. For example, wine must be stored on its side—storing bottles upright will cause the corks to dry out and air to get into the wine, leading it to spoil. The temperature at which you store your wine is also important, with the ideal temperature being around 11-14°C. Any higher than this can cause the wine to age too quickly, whilst lower temperatures can cause severe damage. Another important consideration is ventilation. Strong odours—such as those from paint, cleaning solutions, or certain foods—can permeate through the cork and taint the wine’s flavour, so take care to keep it away from solvents. Robust security measures are also a must to ensure the wine isn’t stolen or damaged, whilst factors like darkness and temperature stability are also at play when it comes to maintaining a wine’s quality. It is advisable to either store your wine in a cellar at home, or use a professional cellaring service and have it kept in a bonded warehouse. Home cellars will need to be very specifically designed in order to control things like temperature, humidity and lighting, whilst these considerations are taken care of on your behalf with a bonded warehouse. Before you start a wine collection, it is therefore important to think long and hard about how you are going to store it. This guide to storing wine will give you a basic overview of what to do, but it is worth undertaking more extensive research, or consulting with professionals before starting a collection. Another mistake to avoid is failing to document key information about your wine, such as the conditions in which it was bought, shipped to you and stored, as well what type of wine it is and where it was produced. You should also keep hold of the original purchase receipt and auction text in order to create a paper trail of your wine’s provenance. All of this helps to give your collection credibility and makes it more likely for your bottles to fetch higher prices in the future. Wine valuation experts The London Wine Cellar note that most reputable wine sellers will perform a quality check to ensure that it meets particular requirements before agreeing to buy it from an individual. Having critical information to hand about your collection makes it much more likely that your bottles will meet these requirements, increasing the chances of turning a profit with your investment. There are various cellar tracking systems that can help you document your collection, and can also provide benefits like making it easier to find bottles and keeping track of how long they’ve been in storage to help ensure they don’t spoil. Some notable free online tools include CellarTracker and VinCellar, which are both comprehensive cellar management systems aimed at helping users keep on top of their collections. It should go without saying, but you should research before committing to purchasing wine, as this will ensure you get good value for money. If you’re looking to sell it on at a later date, speak to experts—such as a local independent merchant—to find out what types of wine are likely to increase in value. Prior to purchasing, you should also find out information like who made the wine, where it was produced, the release date, and whether the winery you’re buying from is credible. 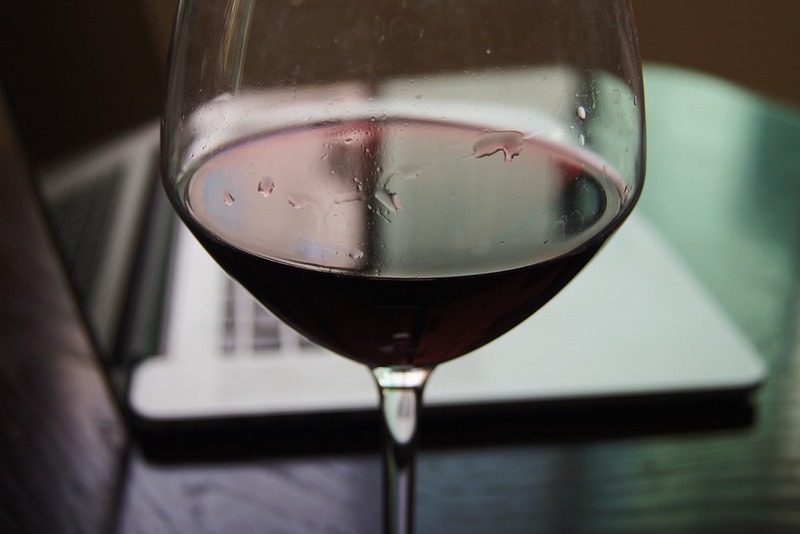 Failing to research the wine you buy may even result in falling victim to scammers. Counterfeit wine is increasingly common, with various high-profile wine fraud cases in recent years, such as the 66 million ordinary wine bottles that were passed off as prestigious Châteauneuf-du-Pape or Côtes du Rhônes bottles between 2013 and 2016. Wine purchasers have even been duped into sending money to HYPERLINK “https://www.thedrinksbusiness.com/2019/01/scammers-increasingly-target-previous-victims-of-wine-fraud/” sham wine companies that don’t exist, showing the importance of researching into who you buy wine from.